30 "Favour is deceitful, and beauty is vain: but a woman that feareth the Lord, she shall be praised." Proverbs 31 is about a virtuous woman! I would love to be that woman who seems to be perfect but alas, I am but a human. My failings are real and yet I get up each day and try again. My weight is down this week. It was not hard since I was sick for most of the week. However, I believe I will try hard next week to keep these pounds off. Let me be virtuous and care for my body. Caring for my body is caring for my family. Beauty is fleeting for sure and at my age I have many of my own thoughts coming from my mouth than to worry about pleasing as much as I used to. It is worth it. I do have a healthy fear of the Lord but I am not looking for earthly praise. Let's be honest. We tie so much of our worth to our beauty, friends and um....our weight or collection of flab. I have avoided shopping to avoid buying larger clothes. Vanity. My goal is really to get healthy and to have more energy for my family. I am on the mend today and that means that my quest for all around good health and energy is on the way! Dr. Juliet Ryan, noted scientist has the job of her dreams with Larimar Springs. She has a vested interest in food safety as the daughter of Dr. Bennett Ryan who is eminent in the field of food safety and sustainability. When Juliet was just a child she learned of an outbreak of e coli at a fast food chain that left a lasting impact on her. She is dedicated to her work and chose Larimar Springs primarily because of assurances by the CEO Alexa Carmichael's stance on food safety. It didn't hurt that she was quietly seeing Greer Latham, V.P. of sales for the corporation. She was convinced that she had the best job in the world with a company that cared so much for humanity. Her father differed with her on this and stuck with his mantra that corporate America was only out for money and did not care who they hurt to keep the money pouring in. I wasn't sure if I would enjoy Where the Rivers Part at first since I have been on a reading jag with period pieces or Amish fiction. I was very surprised to get started and immediately hooked on this book. Juliet's world spirals out of control on just about all levels and the novel became suspenseful. The characters were well developed and I kept wondering what was going to happen next when I had a chance to pick it up again. Predictably in a book or movie, we can get an idea that something is going to go wrong at the perfect job or the perfect relationship. At the heart of this book we have very real people who we root for and those who surprise us. It is those who rally around the heroine who can surprise us the most because we don't expect that. In a rousing testament of faith, Juliet's mother inspires both Juliet and Bennett back to God and the shift in them makes the story all the more meaningful. I thought the book was good and the ending is even better. Pick up a copy and get involved in this caper of good and evil! Many thanks to Revell, a Division of Baker Publishing Group for letting me read and review this book. Where the Rivers Part is part of the Texas Gold series by Kellie Goates Gilbert. I have found another author to follow. It is the first Friday of lent. As we go through these forty days leading up to Easter many people give things up and try to stick it out through the duration. I have during my childhood toyed with what I could give up. Not that it was a toying idea but simply that I was never successful in my resolve. Perhaps I didn't understand or just didn't have the willpower to say no thank you to the endless offerings of cookies, pies, cinnamon rolls or penny candy. This year my mind is sticking to the idea of adding something challenging instead. I have seen this idea a few times this past week and the notion is sticking with me. I have long known that I need to adopt an exercise regime. With my husband's help, we have set up my own workout bench with weights nearby that I can handle. My goal is to give strength to my body and improve my life. I have been skating along getting weaker and feeling a little less energetic. My sleep averages about three and one-half hours a night. and drowsiness clothes them in rags." I am tired and weak and it is up to me to take care of this body and soul. It is my goal this lent to really focus on this hard task of getting stronger and finding true restful sleep. I cannot do this alone and I ask God to help me. It will not be an easy task so it is appropriate to begin this in lent when we think of Christ and all he gave for us. Why should I continue on this path of weakness when I can give my best to become strong! 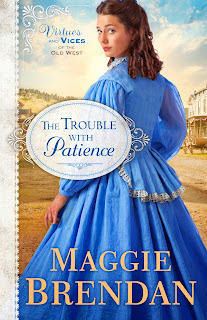 I love historical fiction and Maggie Brendan's newest book The Trouble With Patience is set in the wild west. Gold mining, cattle rustling, murder and romance complete the elements of a good read for long winter nights. Patience Cavanaugh's fiancee was mistaken for a cattle rustler and hung by vigilantes. She inherited a boarding house in Montana from her grandmother and that is all she needs to strike out on her own. The the house needs a lot of work and her handsome new boarder Cody willingly offers a hand and a paintbrush. Jedediah Jones, the town's gruff Marshall was busy maintaining order in a wild town of miners. He was in the midst of capturing a horse thief when he met Patience. She finds him lacking in manners and too rough around the edges. I enjoyed the story for its glimpse into a way of life long gone. Women alone didn't have a lot of choices in professions in those days and Patience was determined to make her boarding house a success. Many lawmen of old started out in more unsavory careers and Jed was no different but commanded respect as a Marshall who was dedicated to the law. The Trouble with Patience is book one in Maggie Brendan's new series, Virtues and Vices of the Old West from Revell Books. I am looking forward to the next book in the series. I can't share more of the story lest I give it all away. Pick up a copy of this book and sit down with a cup of tea and enjoy a time when things were simpler! Or were they really? The Crimson Cord by Jill Eileen Smith is the part of the Daughters of the Promised Land series. I was only going to read for a few minutes but was hooked immediately and continued reading until the wee hours. The story is so compelling and well written that I could nearly see the walls of Jericho. The research by Ms. Smith along with her natural talent for telling a story inspires the reader to turn the pages and keep reading about the characters she brings alive. Prior to this book I thought of Rahab as merely a name of a prostitute in the bible. Rahab, is a young woman sold into slavery and prostitution through the selfish acts of her gambling husband, Gamal. In her new life she had a lovely home, servants and fine clothes. Her life was empty though without the true love of a caring husband, a child to love and the support of her family. The Israelites planned to invade Jericho and Joshua, their leader sent two spies into the city to learn as much as possible to assist their invasion. They found Rahab who makes a deal with the two men to spare her if she helped them. What follows is an unbelievable testament of faith that is remarkable for a young woman who continually searched for a god she could believe in. Her faith in the one true God is an inspiration to us all. Rahab learned that her life as a prostitute did not exclude her from the love and forgiveness of the one true God. 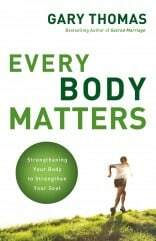 I am inspired by this book, and look forward to the next book in the series. Last year I enjoyed reading Rachel by Jill Eileen Smith and will look for some of her other titles for further reading. If you are looking for a good read along with some good old fashioned inspiration, check out the Crimson Cord. 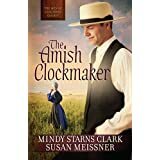 I thoroughly enjoyed reading the Amish Clockmaker by Mindy Starns Clark and Susan Meissner from Harvest House Publishers. This book was the first book this genre I have read from a man's point of view and in a wonderful way the story is told in the perspective from two men, decades apart who become inextricably wound together. The story is present day but flashes back to the re-telling of a tale from the fifties about the clockmaker. Clayton Raber was a man who seemed to have been dealt with the wrong hand in the game of life. Left lame from a childhood buggy accident he was also scarred on his face, a scar that gave people impression he was small in many ways. He was gifted in his craft but his work was renowned also for its beauty as well as craftsmanship. He was a thoughtful man who loved very deeply with a genuine heart. He never dreamed of marrying and when he did, it was no less than to the woman he loved beyond the gate of their adjoining farms. The circumstances of their marriage and her untimely death shrouded Clayton in such controversy that he left home, never to return. Matthew Zook, a young man whose family bought the Raber farm, grew up in Clayton's room and worked in the same shop Clayton did. His family's business is a feed and tack store that Matthew recently took leadership of and he intends to expand. Next door to the property a large resort is being built and once his crew gathers to begin work, he discovers news that may forever put his project on hold. He sets out to clear up the mystery and discovers the truth about the story of Clayton and Miriam Raber. This is the third book in the Men of Lancaster County series and I am on the lookout now for books one and two. I recommend this book for anyone who is interested in Amish Fiction. I had the pleasure last month to read my first book written by Tracie Peterson. In Steadfast Heart, first of the Brides of Seattle Series we learn more about the early days of the Emerald City on the other side of the Cascade Mountains. Set in 1888, before Washington became a state the city was rife with industries that made the city what is today. It was thriving with the sawmills making lumber from the logging industry, a strong seaport and with the coming of the railroad made the world a little smaller. Two young ladies are at the heart of our story. Lenore Fulcher, twenty years old and only daughter of Josiah Fulcher, well to do business owner. Abrianna Cunningham, ward of Mrs. Madison, of the Madison Bridal School. Two pretty young women from very different backgrounds yet the best of friends. Lenore's parents feel she has lingered too long as a maiden and wish her to marry. She wishes to marry for love yet her parents are intent on having her consider a suitor nearly forty. For all the wealthy indulgences by her parents, she is unspoiled, kind and doesn't wish to dishonor her parents. Her luck may change when she meets an attorney from Chicago who is searching for his young sister who ran away from home to attend the Madison Bridal School. Abrianna is convinced that she is unfit for marriage since she cannot master even the simplest domestic task of baking cookies or ironing clothes. She is intent on doing the Lord's work on the docks, clothing and feeding the city's poor. She is pursued by Mr.Welby, a man intent on buying the Madison Building so he can be closer to his business concerns on the docks. The old ladies who run the Madison Bridal School run a strict business training young ladies to become accomplished wives while enjoying the opportunity to safely meet men looking for a wife. Nobody considered selling the building, the property left to Mrs. Madison by her late husband, until a series of crimes are committed near the doorstep of the the school. Kolbein, the young attorney is smitten with Lenore and Wade, close friend to Abrianna, wanted her to stop roaming the docks with her charitable acts. Both men keep a watchful eye on things near the school. Dangerous times were had in Seattle in those lawless days and men did what they could to protect those they loved. While there are many spoilers I could share, I cannot say more except there is definitely the opening for a second book in the series. Thank you Tracie Peterson, for an entertaining book for the gloomy days of winter.